This weekend my husband and I were watching the Packers and Cowboys game as our daughter was napping. She woke up sometime in the fourth quarter and my husband asked if I was going to bring her down. We try to limit our daughter’s TV exposure, but my husband is also a big Cowboys fan so he wanted to watch the game. I thought and sat for a second then I decided I would wait a few minutes to go get her. See our daughter loves her crib. When she wakes up she has no problem rolling around and playing in her crib. This happens when she wakes up in the morning and during nap time. So how did we do this? Did we use cry it out? Did we co-sleep? How did we get sleep at night without psychologically damaging our children!? These are questions I get asked A LOT. First, I need to tell you. There is no magic wand to make your baby an amazing sleeper, but I believe parents can influence their children’s sleep habits. We did this with sleep training. Keep reading to find out how! First, what exactly is sleep training? We should define what I mean by sleep training. As parents we need sleep and it’s important to help our children develop healthy sleep habits. 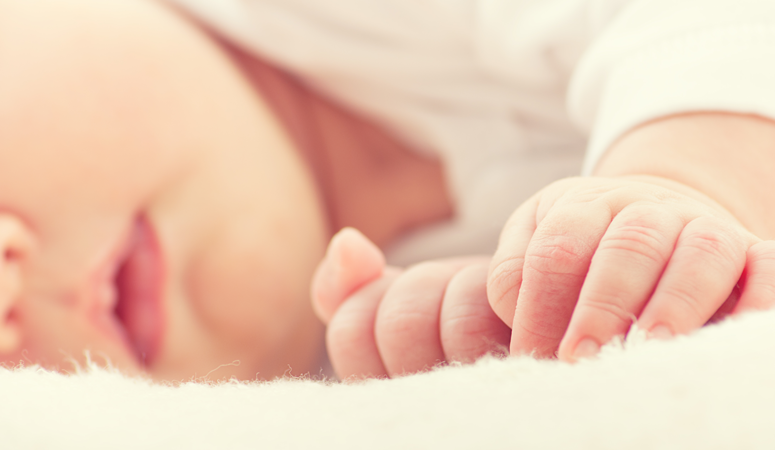 For our family, sleep training meant having our kids sleep in their cribs with minimal crying. We chose certain parenting techniques to train our children to love sleep and sleep through the night. We used 6 things to help us reach this goal of having our children sleep in their own rooms. You must check out the book in #4, it changed the way we handled sleep! RELATED: My Baby Won’t Sleep! Should I Let Her Cry It Out? 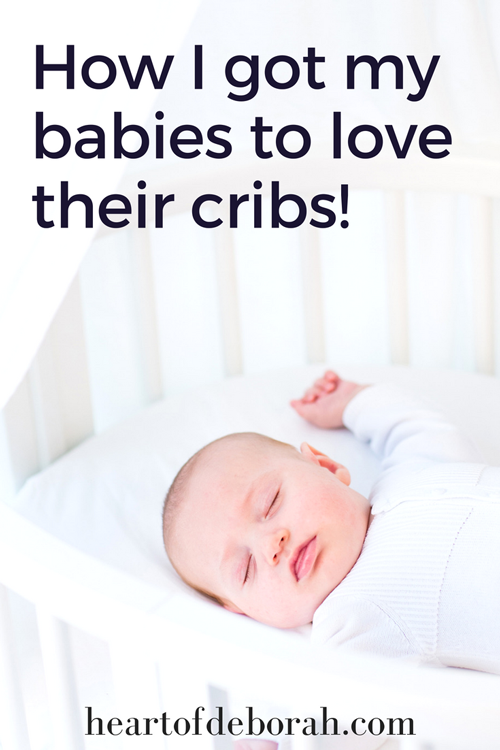 6 Ways to Get Your Children to Love Their Cribs! First, you have to be on the same page as your spouse. My husband and I decided together how we would handle bedtime and sleeping. From the beginning we were consistent in our routine and philosophy. You need to have a conversation with your significant other about how you want to handle sleep. Do you want a strict sleep schedule? Do you want the baby to sleep in a crib? In your bed? You must answer these questions together. 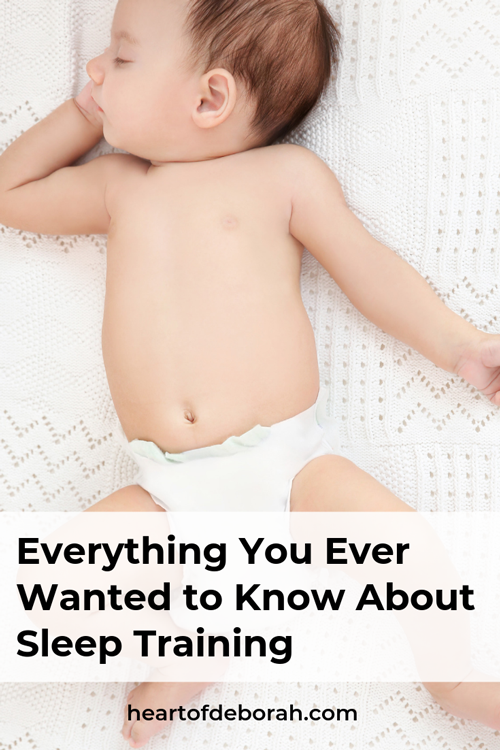 It’s helpful to have all of this worked out with your spouse before the baby comes. Hopefully, it will limit arguments and you will have a plan when sleep issues arise (because they will!). Thankfully my husband and I were on the same page when it came to our baby’s sleep plan. When our daughter was 2-3 months old we started noticing a pattern in her sleep behavior. I used the Baby Connect App on my phone to track how long she was sleeping and what times of day she would nap. When we noticed the pattern around 3 months we started a loose “schedule.” I truly believe this helped her love her crib. It was predictable and comforting to her even as a baby to know what was expected at bedtime. Of course there were times she didn’t nap when she was “supposed” to and we tried to be flexible. We can’t predict everything and teething or a new skill such as standing up would change her routine. Even still we tried to put her down around the same time of day every day. This helped her establish a routine and helped her love her crib. Some nights she practically dove into her crib. She couldn’t wait! This is another big one! Maybe one of the most important tips. I remember when our daughter was a young infant I thought I had to immediately get her the second she woke up from a nap. At night time she would usually cry to signal she was hungry so I would get to her as soon as possible. However, during the day she would start moving and making noises, but not necessarily cry. I always felt anxious to get her the moment she woke up. I think the video baby monitor enforced this feeling in me. Though I remember my mom and mother in law telling me I didn’t NEED to get the baby from her crib the second she woke up. So I decided to give it a try. If I was in the middle of making dinner and it couldn’t wait, I told myself it was okay to finish what I was doing. Our baby was safe in her crib and I could see on the monitor that she was okay. Also remember you are establishing boundaries now for years to come. If you get your baby the second she wake up, naturally she will start to expect this. Then as toddlers, this habit may be hard to break! 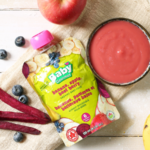 If the baby is hungry or has a dirty diaper then you can expect him or her to cry. If they are fed, clean, the right temperature but still cranky you need to decide how you want to handle it. I highly recommend this sleep book to all new mothers. We read Twelve Hours’ Sleep by Twelve Weeks Old: A Step-by-Step Plan for Baby Sleep Success when I was pregnant and we both loved it. It loosely follows the Ferber method. Both our kids slept through the night by 12 weeks old and I really think part of this was because of the book! It was very easy to follow and implement. Also note, we always talked to our pediatrician before we started sleep training. I recommend you do the same. Finally, new research is showing it is okay to let your baby cry himself to sleep. 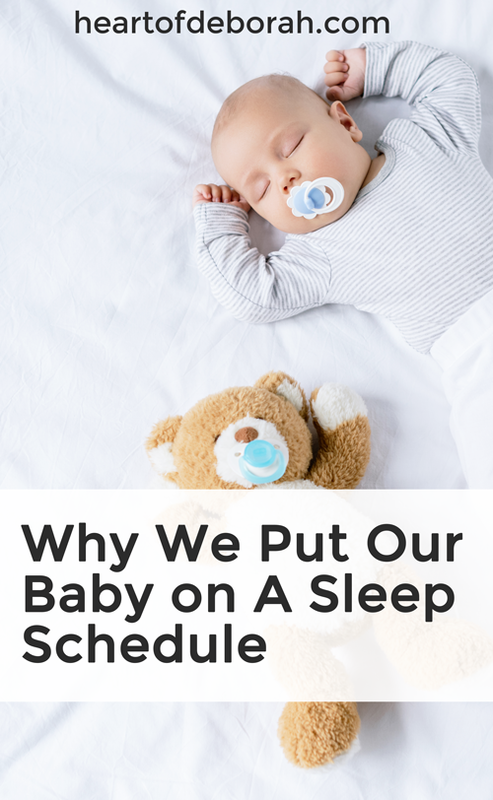 The researchers found sleep training did not stress out babies and the babies actually fell asleep faster compared to the control group. We have a set bedtime routine for our daughter. I remember starting this when was she 3 or 4 months old. When she was a baby she may not have known what was happening, but eventually I think it helped her understand it was time for bed. Our routine includes putting pajamas on, reading books, brushing teeth, praying as family and putting her in her crib. She also sleeps with her favorite lovey every night, a lamb. There is a lot of research showing the positive benefits of having a consistent and regular bedtime routine. As I said before I think our daughter’s love for sleep is a combination of things. My husband and I both love to sleep, so it may be genetic. We also talked about how we would handle our daughter’s napping and sleeping and we were intentional about it. Lastly, we prayed. We prayed for wisdom, discernment, the courage to make the tough decisions and most importantly we prayed for peaceful restful sleep. So how did you handle sleep in your house? 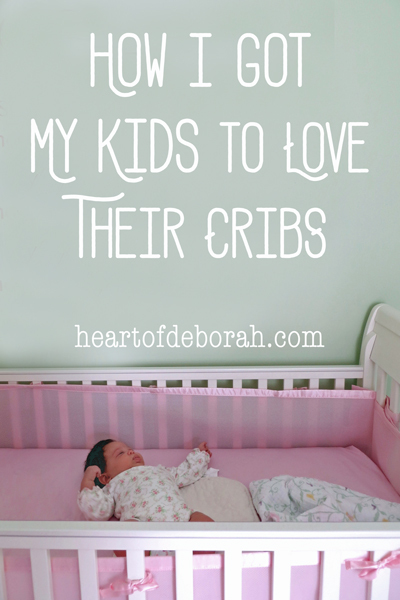 Do your children love their cribs? Share your journey or questions in the comments below! Do you have tips for helping your child’s sleep habits? Disclosure: There are many opinions on this and you have to decide what is best for your family. In this post I wanted to share our experience and I hope you find it helpful. These are my thoughts as a mother, not medical or professional advice. My son also enjoys playing in his crib. He’s now 18 months old and still plays for 30 minutes or so before he even wants to get up/out! It’s definitely a blessing! I’m glad to run across your blog! We do sleep training to an extent but we don’t night wean until a lot later. Usually around 15 months. We do a modified cio method. After a few minites of crying we go i and calm the baby and then go back out for a few minutes, we do start this around 2 months so our babies will put themselves to sleep instead of needing to nurse to sleep. But I don’t expect them to sleep 12 hours for a longer time. Super helpful Lauren. Thank you. We’re due to write up a post around sleep training from a dad’s perspective and I’ll look at how we can integrate some of your points for our dads. sleep training works and what is more, it makes parents and a baby much happier! I always thought that sleep training is a long process and apparently I was wrong. 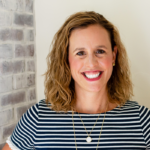 When my baby girl was 4 months old I tried the Hold With Love method by Susan Urban from her HOW TO TEACH A BABY TO FALL ASLEEP ALONE guide ( http://www.parental-love.com ). My daughter has always been a pretty terrible sleeper so I thought it is going to be a long trip to get her to sleep properly but after a few days, we made it ( ONLY A FEW DAYS!!!!!!!). After the HWL method she falls asleep on her own without rocking and her naps look much better. We are eliminating night feedings now with the HWL and it looks promising. I am glad I decided to change my daughter’s sleeping habits and we are all much happier now. I also couldn’t imagine life without rocking and the same book came to help me! For us it was just 3 nights with Hold With Love method. I loved Susan Urban’s style! It’s like you can feel she’s a mom too and she’d seen there. I am really glad I worked. 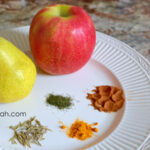 That’s the same method I used – Hold With Love. 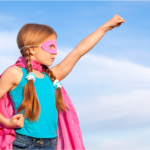 I loved the idea that there is no CIO involved, I really couldn’t deal with Ferber’s method. But this one – it is so gentle! This Susan Urban is baby whisperer I think!